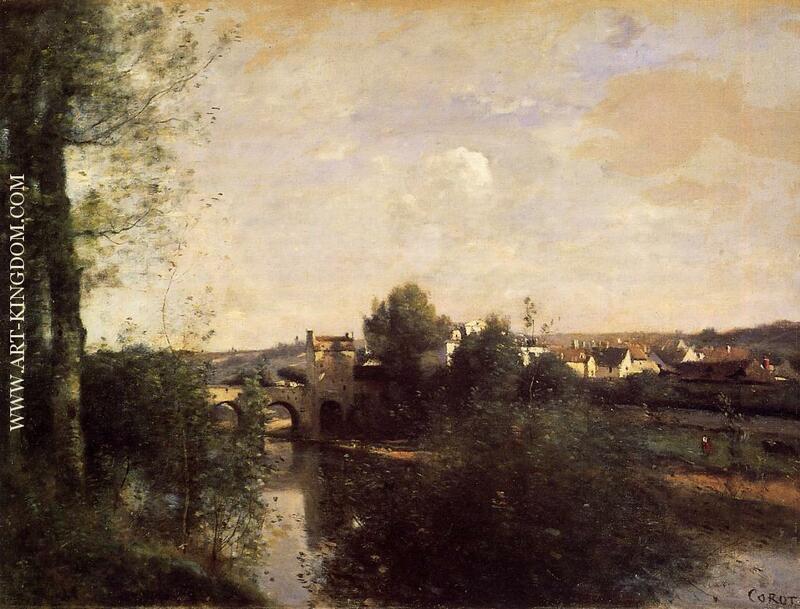 COROT, JEAN-BAPTISTE CAMILLE (1796—1875), French landscape painter, was born in Paris, in a house on the Quai by the rue du Bac, now demolished, on the 26th of July 1796. His family were well-to-do bourgeois people, and whatever may have been the experience of some of his artistic colleagues, he never, throughout his life, felt the want of money. 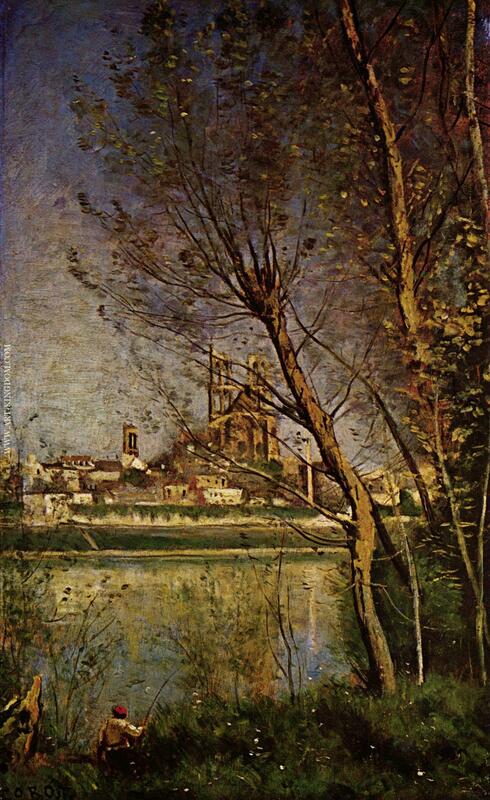 He was educated at Rouen and was afterwards apprenticed to a draper, but hated commercial life and despised what he called its “business tricks,” yet he faithfully remained in it until he was twenty-six, when his father at last consented to his adopting the profession of art. 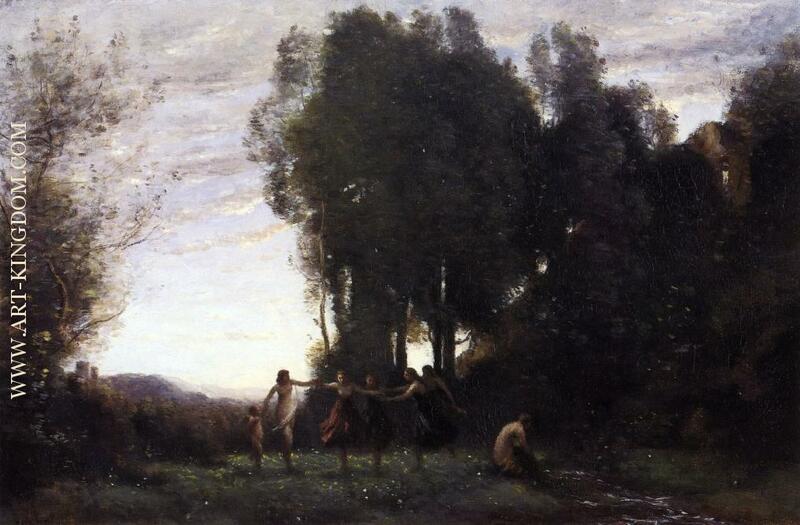 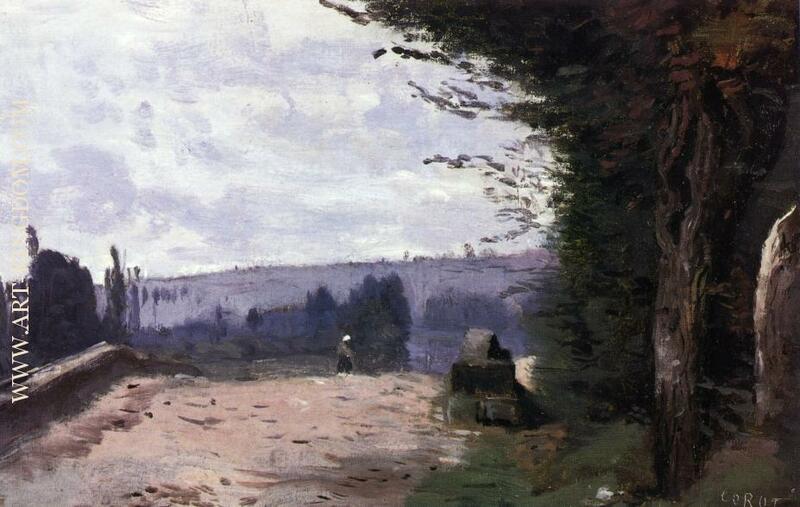 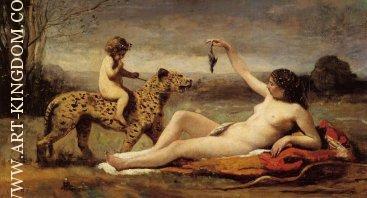 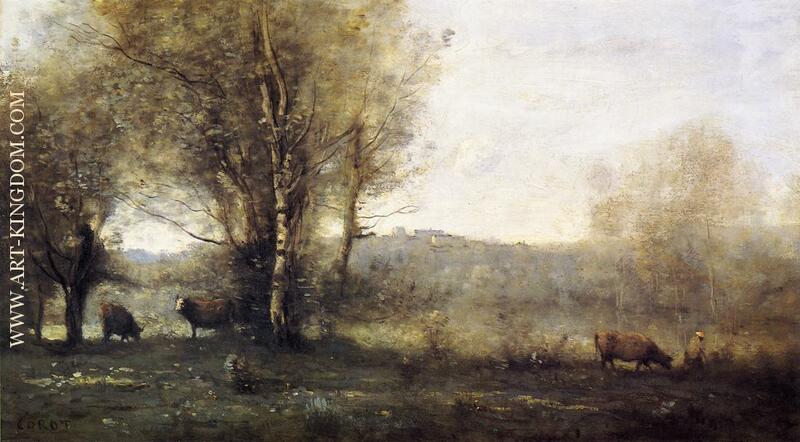 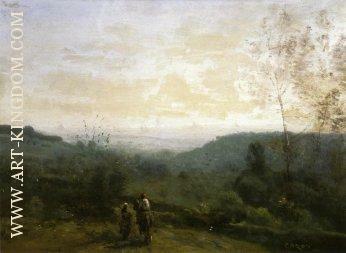 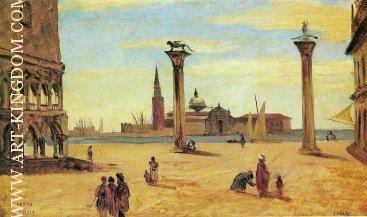 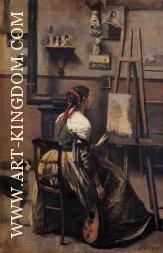 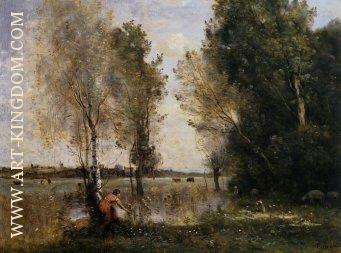 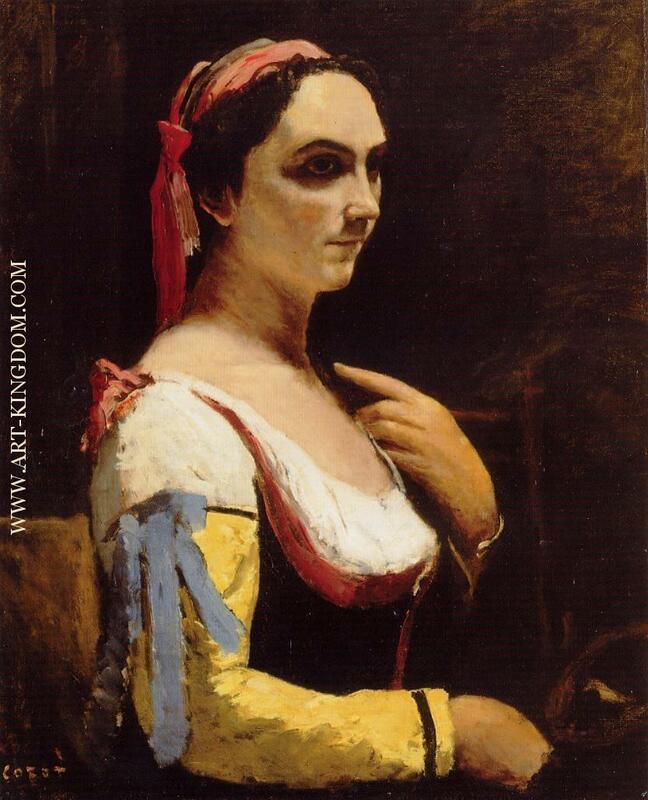 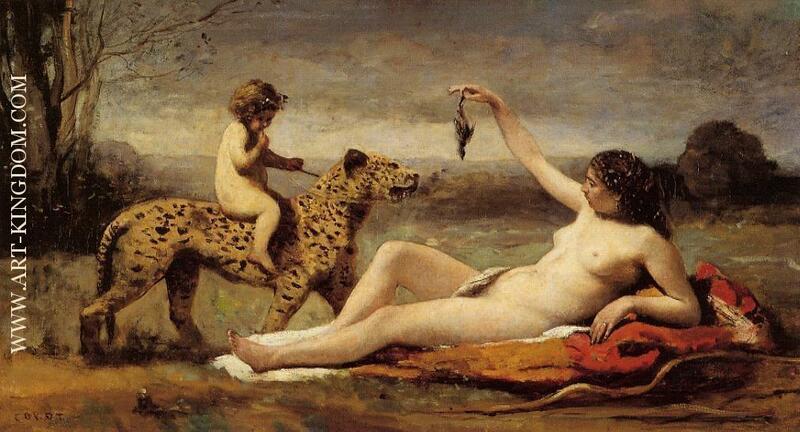 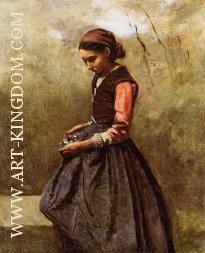 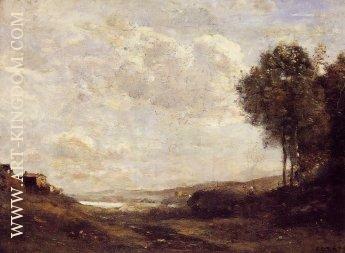 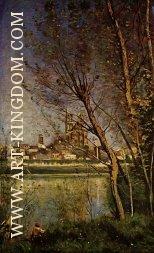 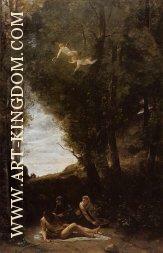 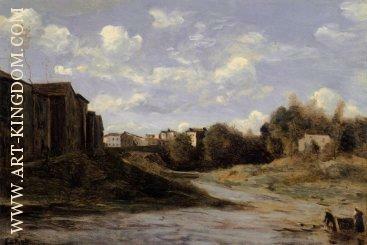 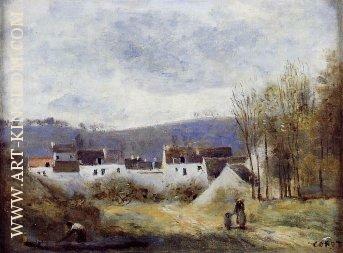 Corot learned little from his masters. 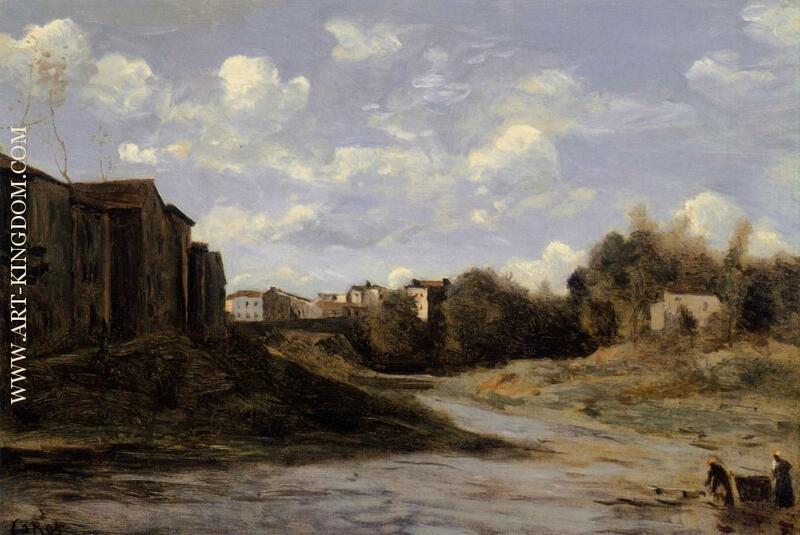 He visited Italy on three occasions: two of his Roman studies are now in the Louvre. 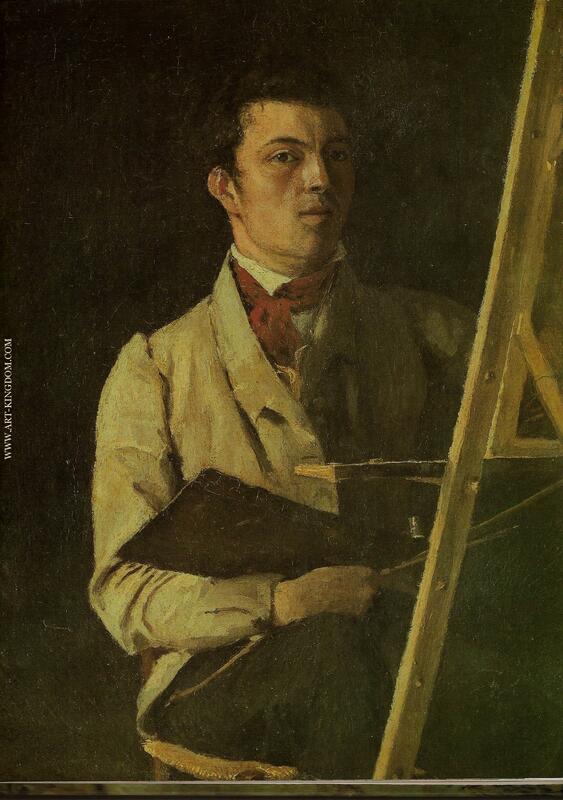 He was a regular contributor to the Salon during his lifetime, and in 1846 was decorated with the cross of the Legion of Honour. 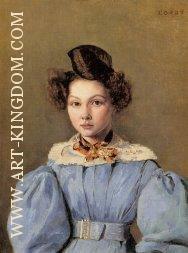 He was promoted to be officer in 1867. His many friends considered nevertheless that he was officially neglected, and in 1874, only a short time before his death, they presented him with a gold medal. 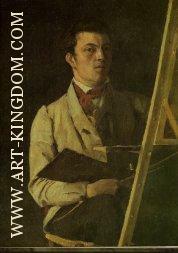 He died in Paris, on the 22nd of February 1875, and was buried at Père Lachaise. 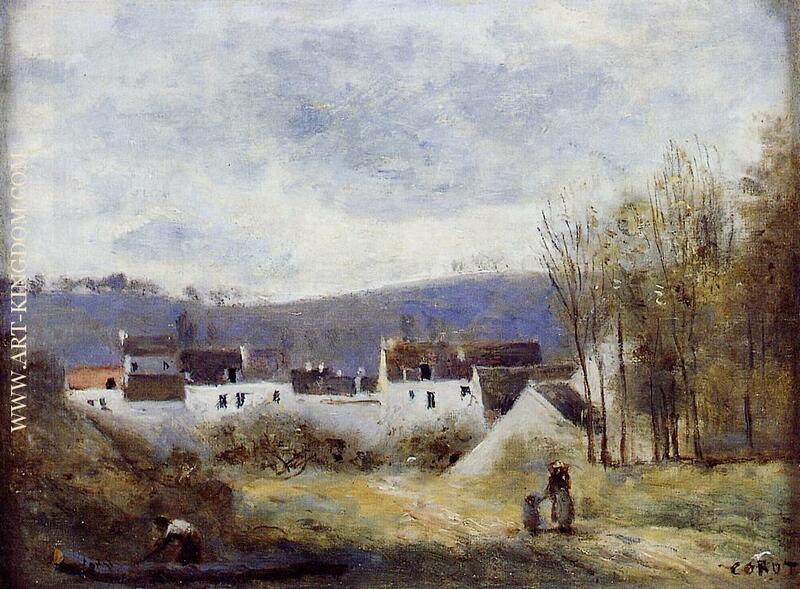 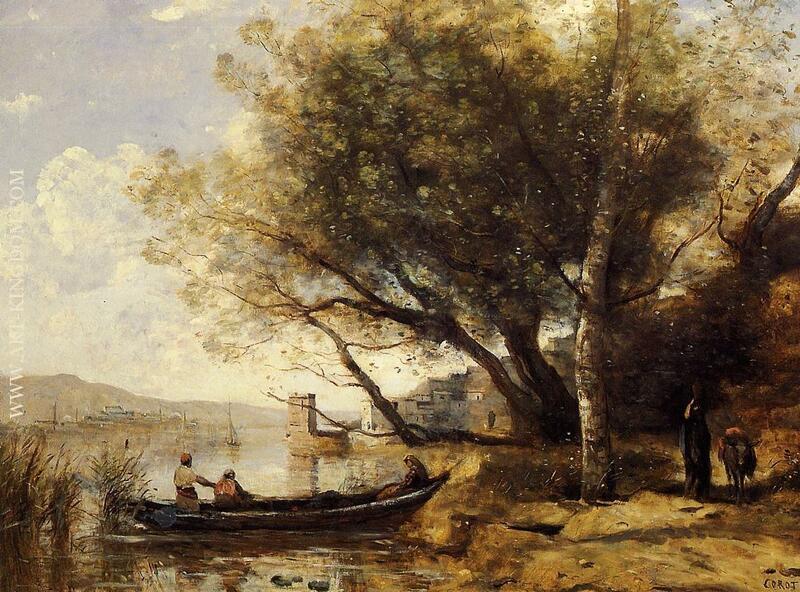 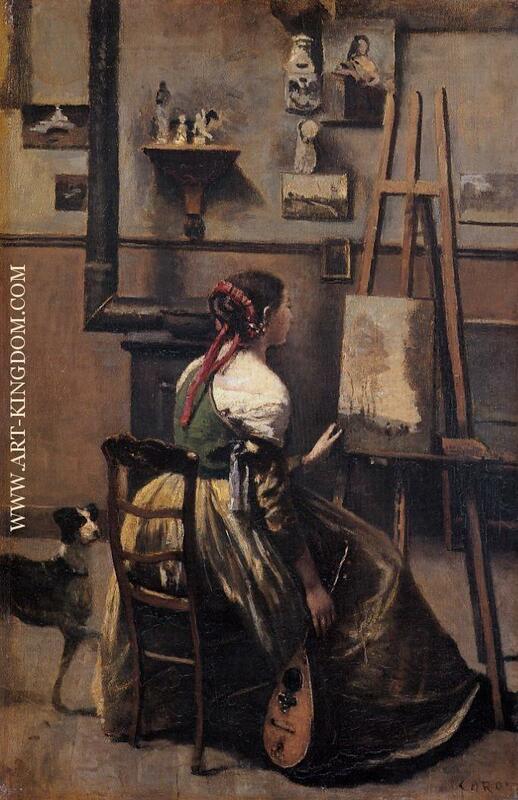 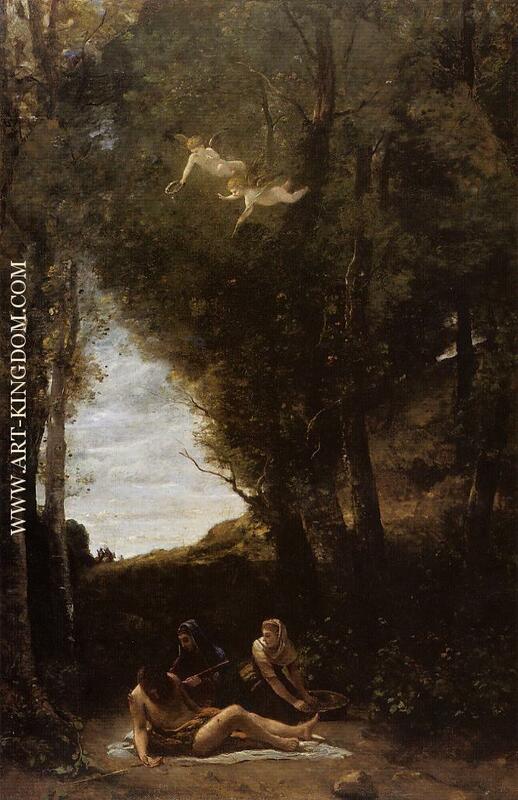 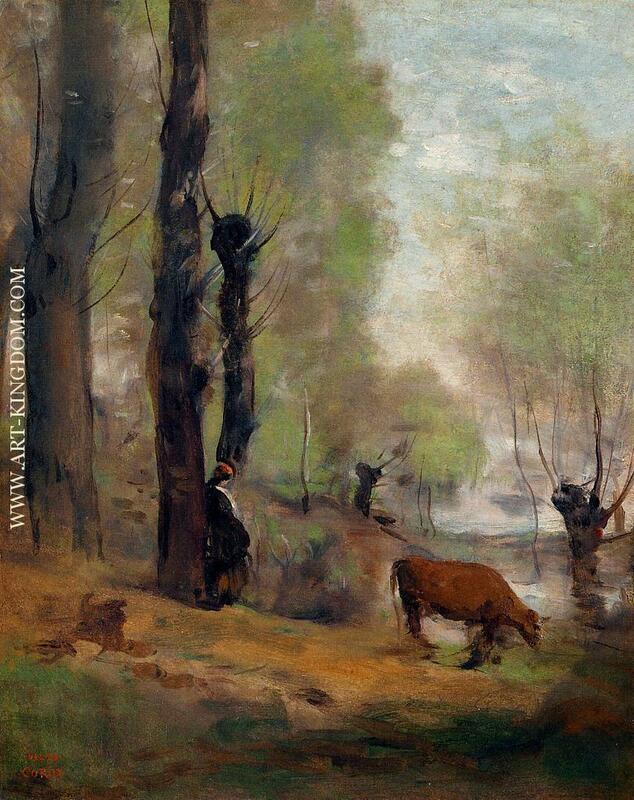 Of the painters classed in the Barbizon school it is probable that Corot will live the longest, and will continue to occupy the highest position. His art is more individual than Rousseau’s, whose works are more strictly traditional; more poetic than that of Daubigny, who is, however, Corot’s greatest contemporary rival; and in every sense more beautiful than J. F. Millet, who thought more of stern truth than of aesthetic feeling.